The Cannondale Topstone 105 is on our floor now, and it's truly a special bike. Built for grinding out miles on the roughest of gravel roads, the Topstone’s confident and comfortable rider position, nimble handling, and high-volume tires make it an super tourer, an all-weather commuter, or a comfortable all-around road bike. The light alloy frame offers clearance for 700c tires up to 42mm wide, which provide great grip and give on a virtually all surfaces. A full carbon fork with a 12mm thru-axle provides a precise-steering front end, while the disc brakes provide ultimate stopping power. 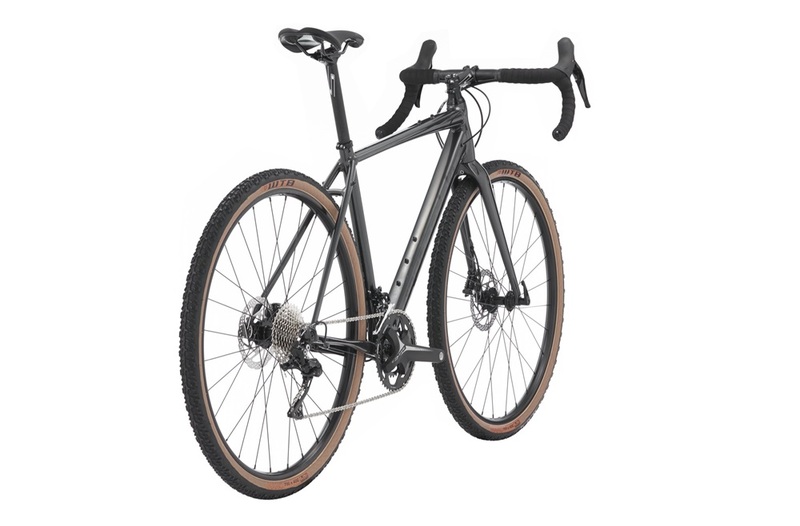 Cannondale’s OutFront Geometry, which pairs a slack head angle with a 55mm fork offset, delivers a confident combination of stability and quick-handling agility — perfect for tackling mixed terrain and rough road surfaces. With internal cable routing for a dropper seatpost, mounts for top tube storage, and multiple mounts for carrying three bottles or large frame bags, the all-new Topstone is ready for adventure, wherever the road may lead. Right now, we have the 105 version for a very nice price of $1650. Come in and ride one, or learn more by calling at 512 473 0222, or emailing us.